We interrupt our usual programming for a shameless plug! 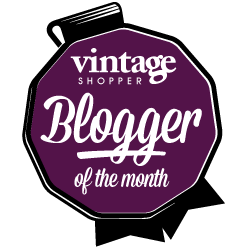 The lovely people at Vintage Shopper have set up the “Blogger of the Month” award – and I’m nominated for October! 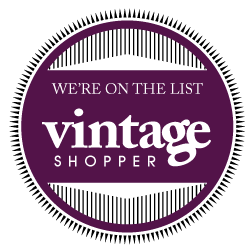 Please do vote for me if you like my recent post for Vintage Shopper, all about my Vintage Tea Party! It’s certainly been fun planning my vintage tea party and getting the opportunity to use my lovely vintage china, decorations and clothes! More tea adventures to follow soon – including tea in a treehouse, some fab new afternoon teas and lovely new teas to taste! Until next time, enjoy your tea break! Time for a Tea Break! While sipping a nice cup of tea, I’ll be sharing my views on lifestyle, culture, fab vintage finds, the vintage home, favourite vintage, high street and designer fashion, delicious food and drink, great places to see and things to do, getting out and about, and of course, tea! smells, tastes and experiences that come with this most lovely of seasons. This month has opened the door to even more fun adventures in Tealand! I always seem to be better at eating a proper breakfast in the Autumn, so I was delighted to be invited to an exclusive breakfast hosted by Twinings and 2011 Masterchef winner and culinary alchemist, Tim Anderson at London’s luxurious Savoy. 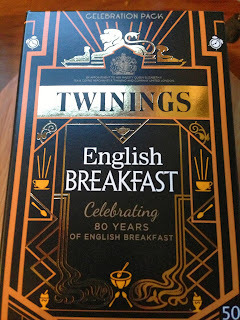 Twinings English Breakfast tea, the first ‘designer tea’, created in the 1930s! I was very excited to be greeted by Stephen Twining, Brand Ambassador for Twinings when I first arrived, who shared with me his tips on brewing the perfect cup of English Breakfast – make sure you brew it for at least three minutes! Many people complain that they don’t like English Breakfast tea because it’s not strong enough, but the trick is in the timing. 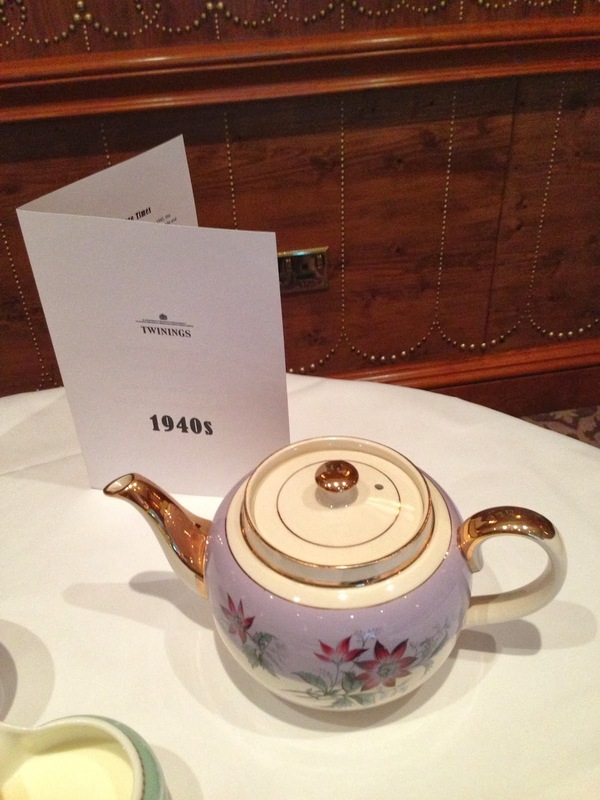 True to his word, it was a refreshing, tasty cup of tea – much needed after my travel across busy London! The theme of the event was, of course, breakfasts throughout the last eight decades, paired with English Breakfast tea, of course! With my love of all things vintage, this was a combination of a fascinating trip down memory lane and an interesting anthropological study of how eating behaviour has changed over the years – and continues to evolve. 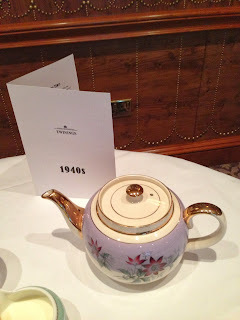 I’m not sure what I loved more – the fabulous retro Twinings packaging, the vintage teapots, tea cups and tea sets, or the food itself! for the breakfast of the future – which is certainly innovative and different from the normal fry-up/cereal/pastry on the go that we’re so used to today! Tim’s idea was that people will turn to more sustainable food sources in the future, eating things that may have seemed unappealing in Western countries before, such as insects in your muesli – crickets, ants eggs and mealworms, anyone?! I very much liked the idea of more gamey meats featuring on the breakfast table, like Tim’s smoked duck bacon – smoked with Twinings tea, naturally – and rabbit and venison sausages (although, rather childishly, I still can’t bring myself to eat rabbit or venison, which conjour up images of Thumper and Bambi!) 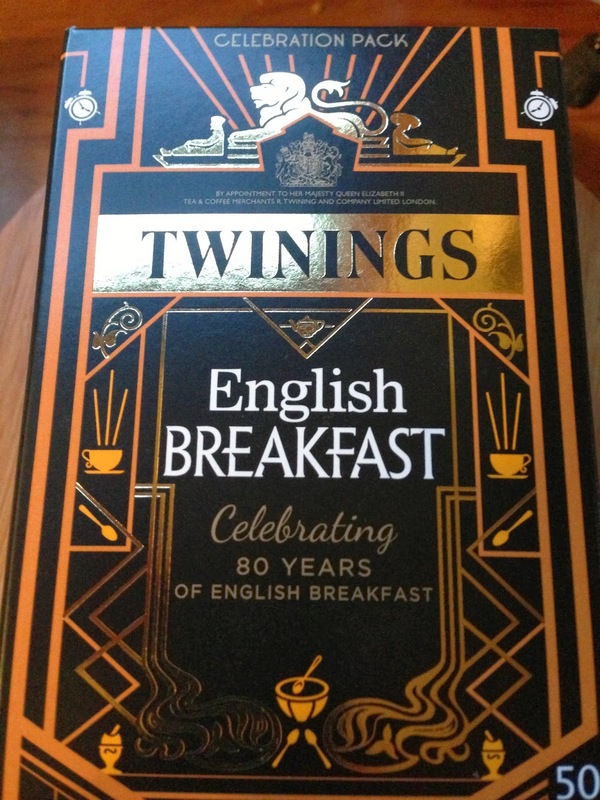 Innovation is an important theme for Twinings, too – I didn’t realise that they were pioneers of the teabag in the 1950s and de-caff tea in the 1980 – and the evolving packaging through the ages has reflected the styles and fashions of the era. I particularly liked the 1970s packaging, which I think would be very fashionable again today!